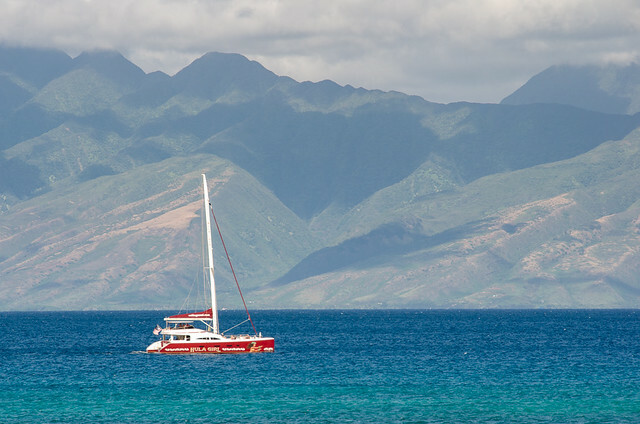 There’s a lot to love about Maui but the top of the list is probably the wide diversity of landscapes and things to do. There’s something for everyone, whether you are planning a romantic getaway, a family trip, or solo adventure. There’s also a beach for every itinerary! 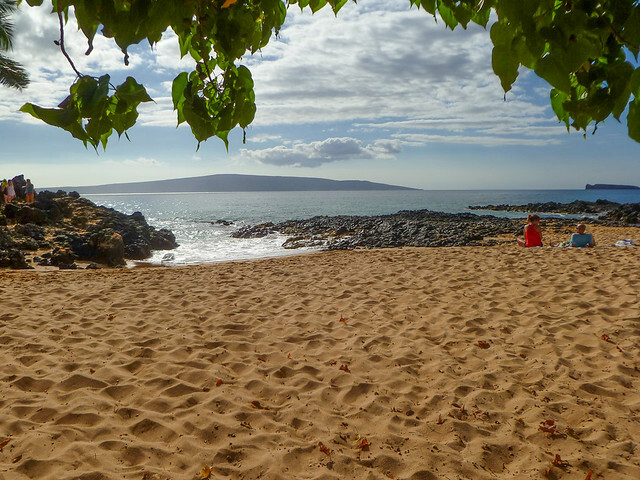 The first several photos are of Secret Cove (also known as Pa’ako Beach) in South Maui. 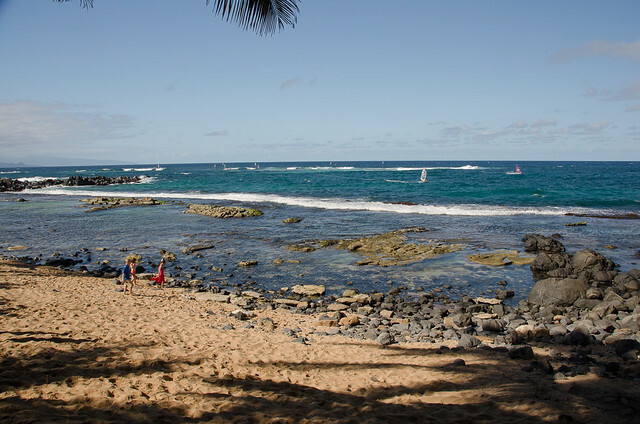 Just a few minutes drive south of popular McKenna Beach, it’s a volcanic rock and tropical foliage oasis, with soft golden sand and some of the prettiest turquoise water on the island. It instantly became my favorite beach on the island. 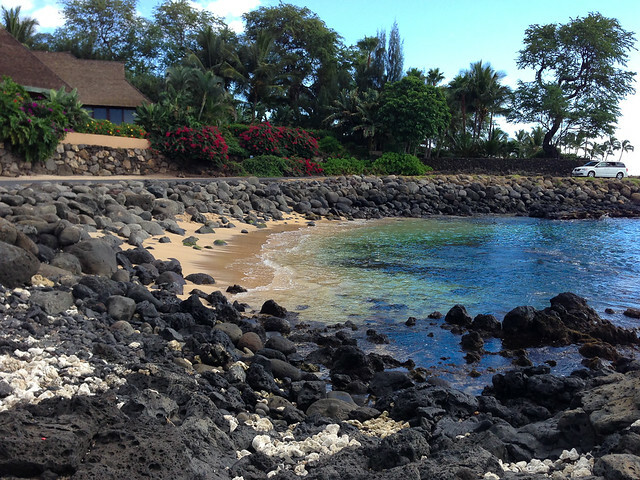 This photo, the black sand beach at Waianapanapa State Park in Hana, is one of my other favorite Maui beaches. Despite it being crowded with tourists and with dangerous rip currents preventing you from swimming there, the bold colors of the water, the rocks, and the vegetation make it one of the prettiest places I’ve ever been. 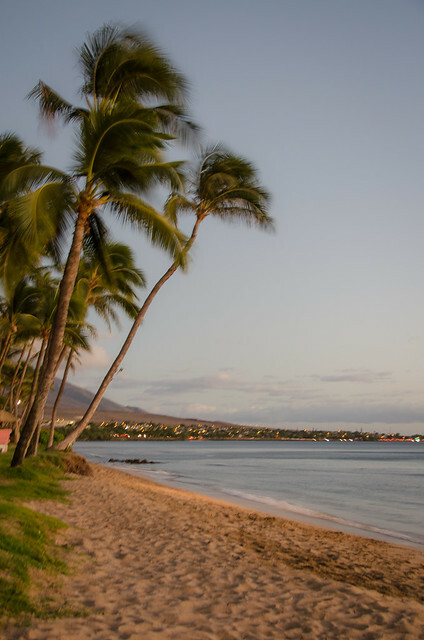 When we pulled into the condo we had rented (from a friend of a friend) in the West Maui town of Kahana, I was instantly turned off by the high-rise residential towers lining the coast. 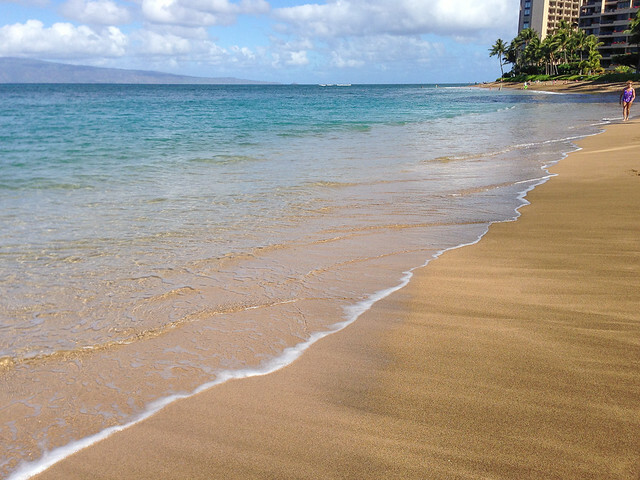 But when I walked out to the beach the next morning and got my first glance of the soft, clean golden sand and warm clear water on this stretch of beach, I learned exactly why this was some of the most prized real estate on the island. 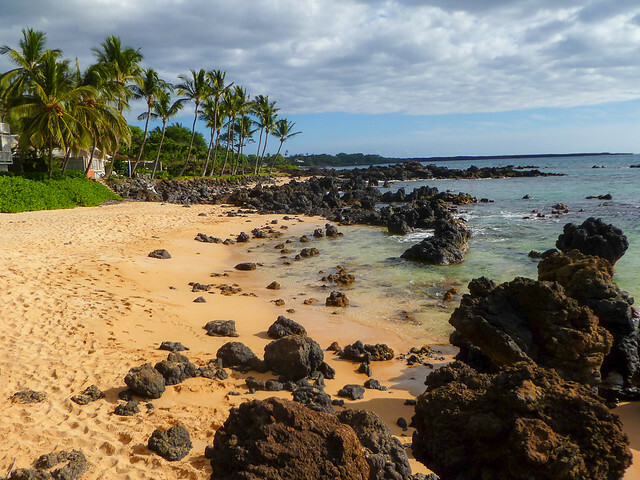 The next several photos were taken at Pohaku Beach just a short walk south of our condo. 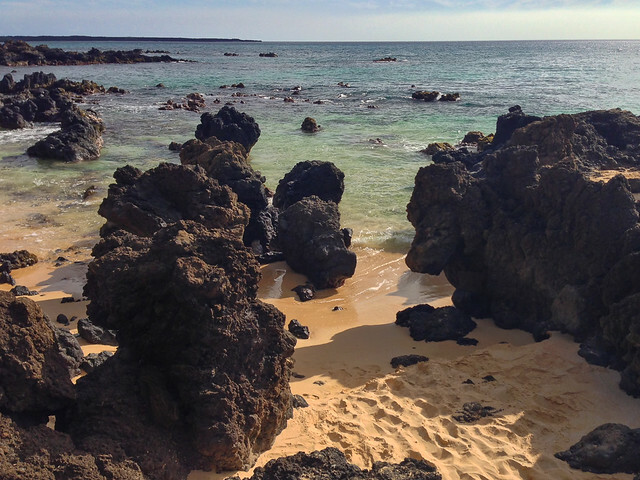 The rocks at the south end of Pohaku beach are a popular sea turtle hangout. 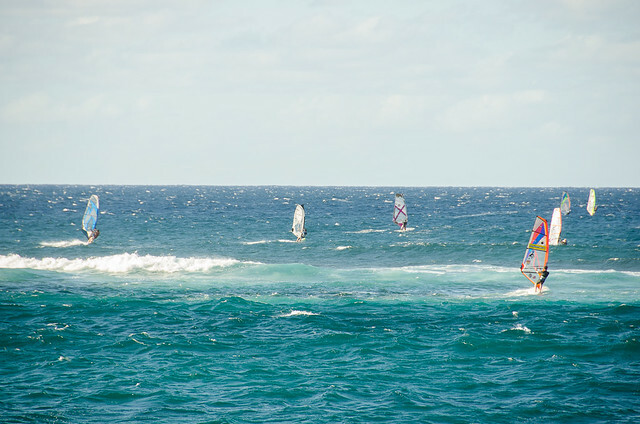 The beach below North Maui’s popular restaurant, Mama’s Fish House had a great view of the windsurfers enjoying Maui’s windy and wild north shore. 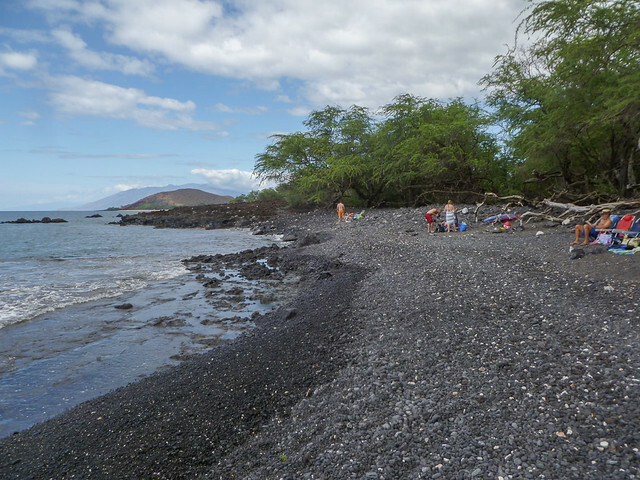 While not much to look at, the beach called “The Dumps” luckily doesn’t live up to its name. 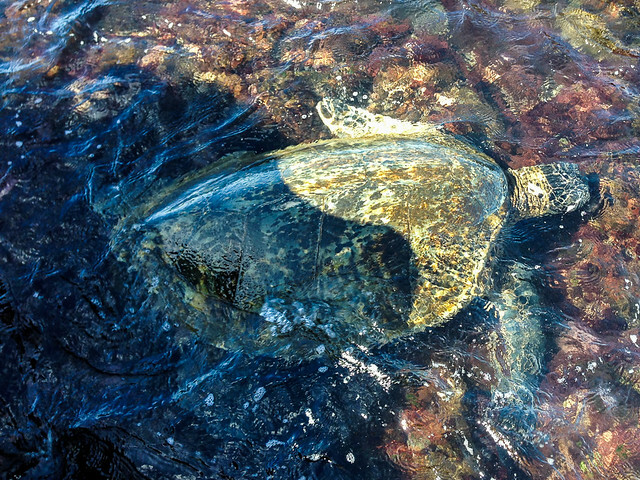 The clear water and diverse sea life in the waters off this small beach make it one of the best places to snorkel on the island. 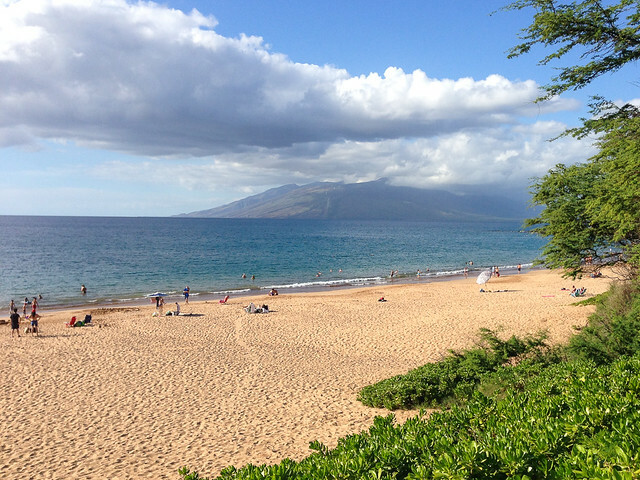 Popular Wailea Beach on a not-so-crowded afternoon. There is a big parking lot here and there are public restrooms and showers so it might be one of the best choices if you are traveling with a family. 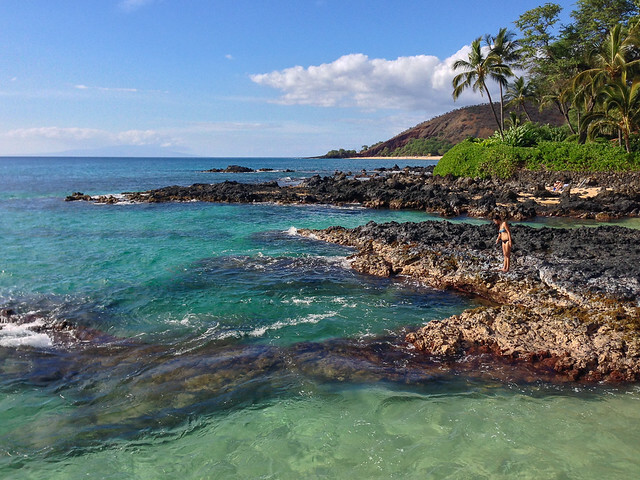 This tiny little cove in far South Maui across from a gated house doesn’t have a name but I couldn’t help but stop for a short swim in its clear turquoise water. While I felt like a fish in an aquarium (as the cars drove by on the road just a few feet away), it was still great to have the entire beach to myself. 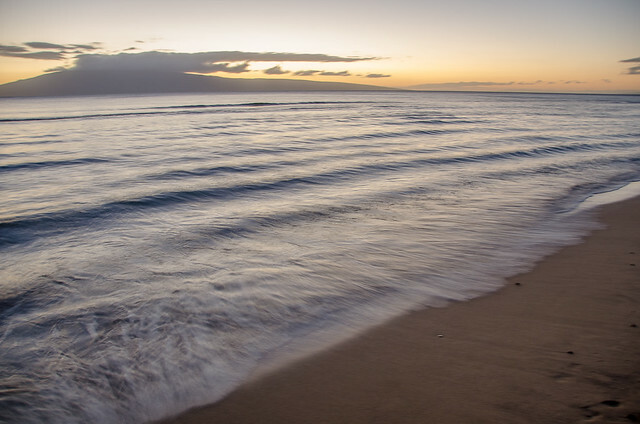 The next few photos are Kaanapali Beach at sunset. 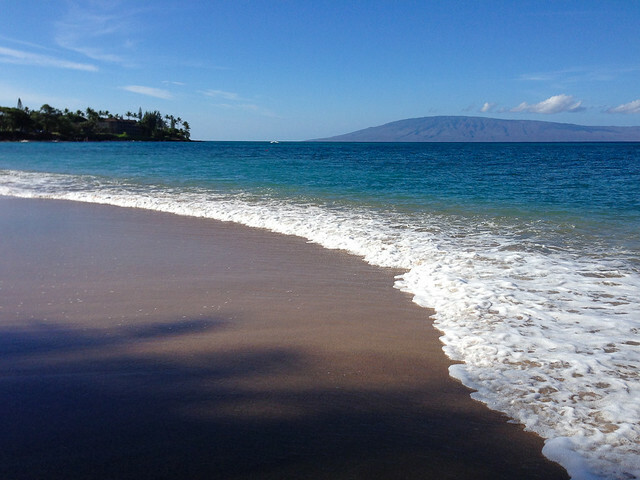 We went to this beach on the property of the Hyatt Regency for a dinner banquet for Cal basketball fans who had come out for the Maui Invitational college basketball tournament that had inspired our trip. 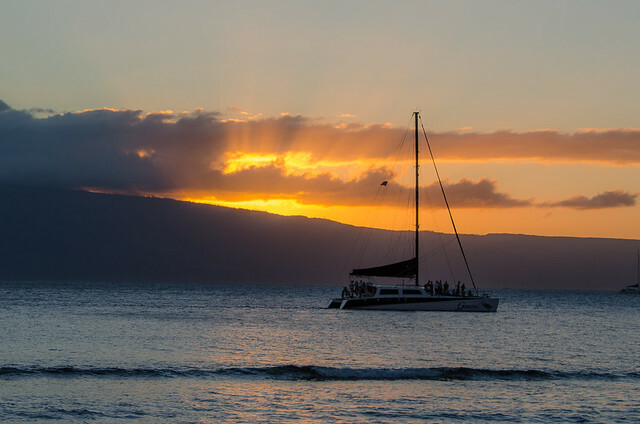 From this vantage point, the sun sets over the island of Lana’i off in the distance. 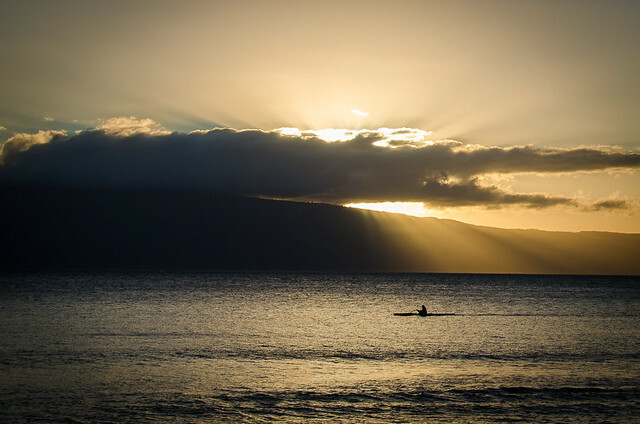 The final photo is sunset as seen from the town of Kihei. I wasn’t a big fan of the long narrow beaches in this area, but it’s a fine place to watch the sunset. 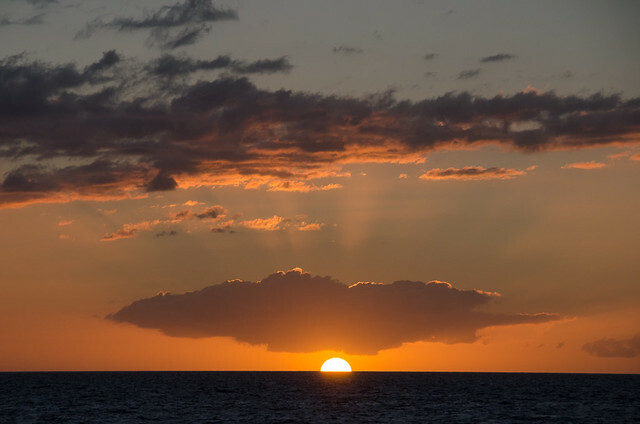 There are no islands in the distance, just the sun setting over the ocean. 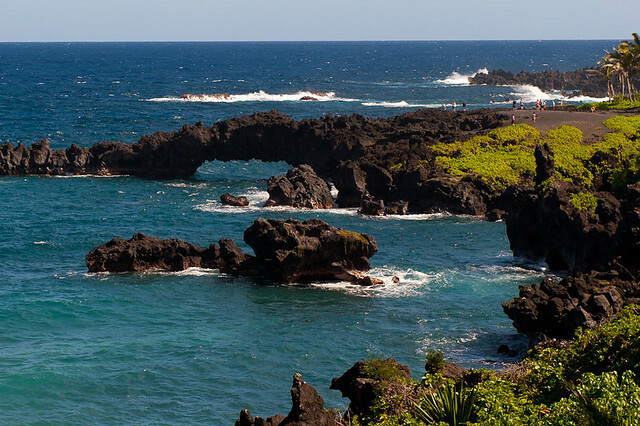 Have you been to Maui? 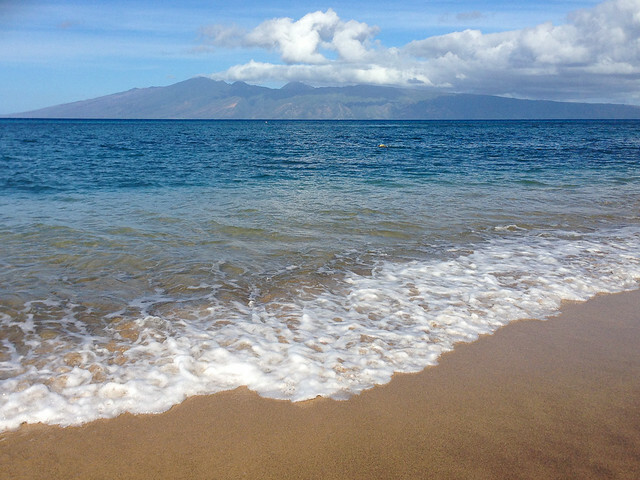 What are your picks for best Maui beaches? 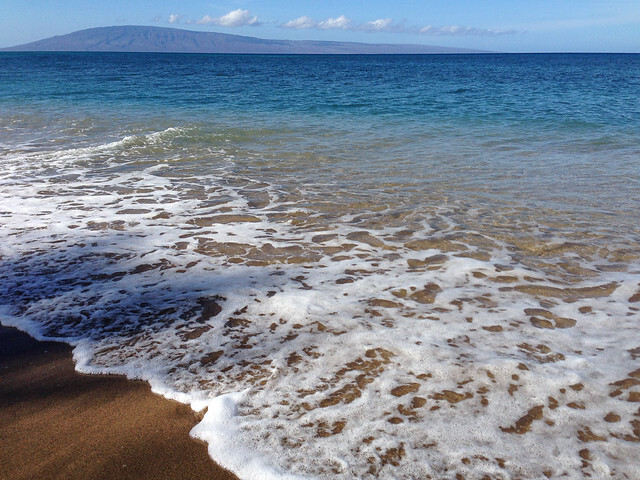 I seriously cannot get over how pretty you pictures of Maui (and Hawaii, in general) are! 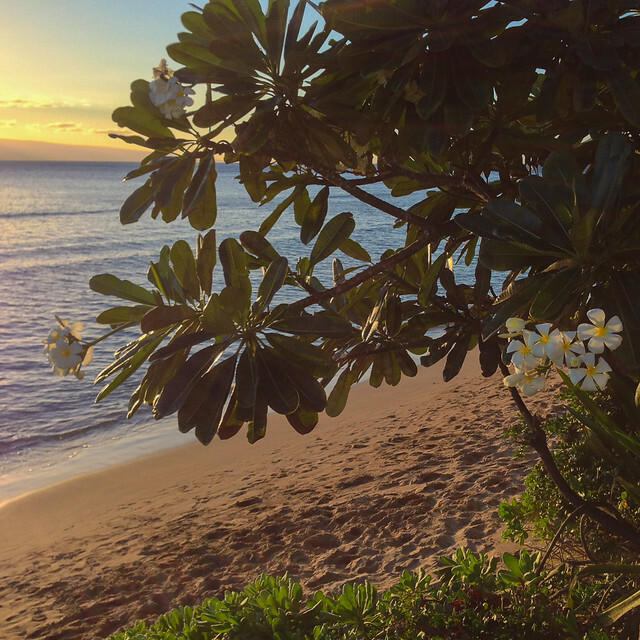 I’ve always secretly believed that Hawaii was too overrun with tourists to be beautiful and I’ve never really wanted to go… but your pictures have definitely changed that! Who knew the ocean could be such a gorgeous shade of blue?!? Hello Cassie, I’m Rod from the Travel Pinfluencer group over at FB, where I found your blog. 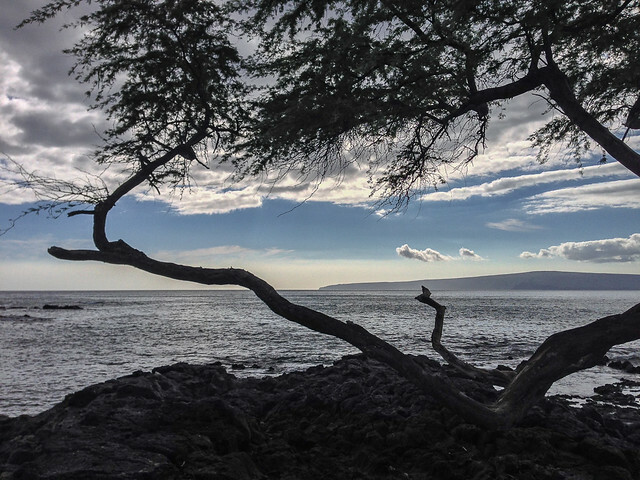 These are very beautiful photos of Hawaii! I can’t say that I see the sun and surf everyday. I’m from Montana, where my views are of big skies and the mountains. Have you been to Montana? If you haven’t, do come over! I’ve never been to Montana but it’s on the list. My husband was just talking about wanting to go to Yellowstone the other day, perhaps we’ll do a Rockies road trip and let you know!